Welcome to part 2 of our guide to competitive Pokemon! Last time, we talked about some basic concepts necessary for competitive battling: EVs, IVs, natures and items. This part of the guide will expand on part 1, allowing the reader to create an effective competitive Pokemon set. You ever see an NPC using a move like Taunt in game and think “Why would anybody ever use that?” In-game, the player simply needs to power through the story with strong attacking moves. However, there are several moves that are effective in competitive Pokemon that most may not realize. This will be the focus of this section; everybody knows that flamethrower and fire blast are good attacks. Please note that there are dozens of moves that can be discussed in this section in great depth, but for the purposes of this article, the most important have been chosen. Stealth Rock: The king of competitive Pokemon moves. Believe it or not, this attack dominated competitive Pokemon for two generations, and still remains very relevant. It takes off 1/8th of the opponent’s health whenever they enter the match. It’s a rock type attack, and standard type multipliers apply here (i.e Charizard loses half its health because it’s 4x weak to rock). The residual damage on your opponent from having Stealth Rock on the field is essential in many cases. It turns two-hit KOs (2HKO) into one-hit KOs (OHKO) in many situations. However, there are two moves that can get Stealth Rock off the field: Rapid Spin and Defog. Rapid Spin: A weak normal type attack that removes entry hazards (Stealth Rock, Spikes, Toxic Spikes) as well as a few other moves such as Leech Seed. Evidently, Ghost type Pokemon can block this move, with their usage being a commonly used strategy to counter Rapid Spin in previous generations. These ghost types, called “Spin Blockers,” have fallen out of favour in Pokemon X and Y, as a new mechanic was introduced that is arguably more effective at eliminating Stealth Rock. Defog: Removes entry hazards from both sides of the field, while also reducing the foe’s evasiveness. The latter effect can be used by Bisharp to gain a huge advantage, which will be outlined in the ability section. Substitute: With 25% of the user’s HP, a dummy is produced with the same amount of HP. This is effective in several situations. For example, you have an Infernape out against a Breloom. You are clearly at an advantage, the chances that your opponent switches is very high. They may switch into a Swampert to absorb a predicted fire attack. Therefore, Substitute can be used as they switch into Swampert. The next turn, Infernape can safely use an attack that hits Swampert harder, such as Grass Knot, while also being able to block Swampert’s attack with the dummy. Boosting Moves: Moves like Swords Dance, Nasty Plot, Dragon Dance, Calm Mind, Agility, Bulk Up, Curse, etc. These moves are incredibly effective, and with the right Pokemon, an entire team can be swept out with just one of these boosting moves. Taunt: Stops the opponent from using non-attacking moves. This is useful in many ways such as stopping entry hazards and preventing the foe from recovering. Status Moves: Inflicting your opponent with status is a huge hindrance for their Pokemon. Will-o-wisp inflicts a burn, which halves your foe’s physical attack while also inflicting residual damage. Toxic inflicts damage at an increasing rate at the end of each turn. Sleep Powder and Spore put the opponent to sleep for 1-4 turns. Paralysis reduces speed to 25% while also having a 25% chance of being unable to move every turn. Recovery moves: Moves such as Recover, Roost, Slack Off, Morning Sun, etc. Useful for defensive Pokemon as it provides them with longevity to take several hits and eliminate threats on the opponent’s team. 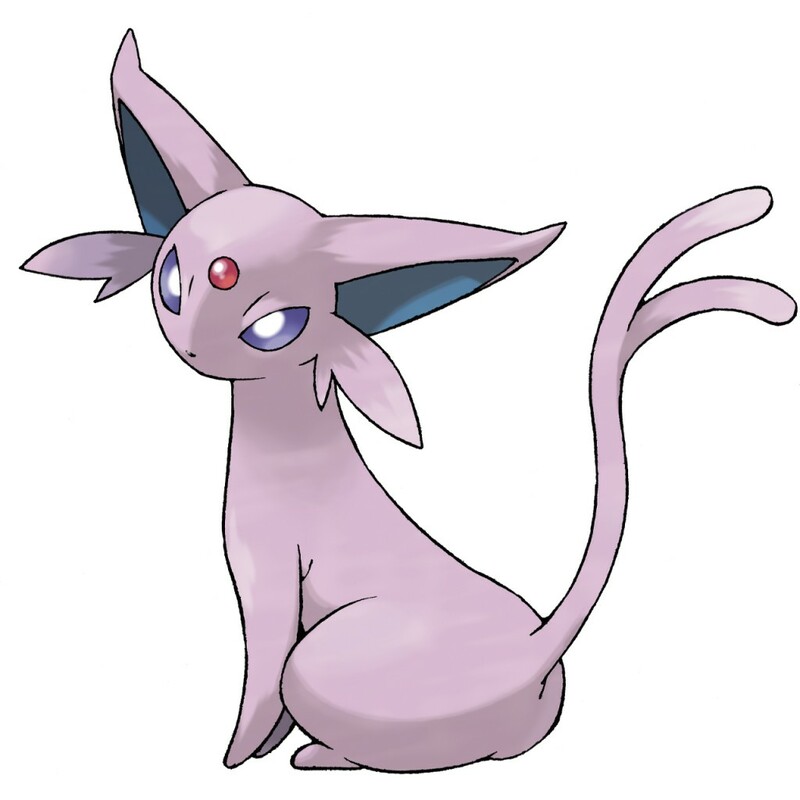 In Generation V, Espeon received an incredibly useful ability in Magic Bounce. Among its many effects, Magic Bounce reflects Stealth Rock to the opponent’s side of the field. Multiscale: With the introduction of Salamence in generation III, Dragonite began to play second fiddle to the new dragon. However, generation V gave Dragonite a new ability that made it more prominent than ever: Multiscale. This ability halves any damage done if the Pokemon is at full health. It can be used in tandem with Roost and boosting moves to power through teams. In addition to Dragonite, Lugia also uses this ability effectively in the Ubers tier (Refer to tiers section). Serene Grace: Sometimes considered an annoying ability, but its effectiveness is unquestioned. This ability doubles the likelihood of secondary effects to occur. For instance, Flamethrower would have a 20% chance of burning instead of 10%. This ability is most frequently used by Jirachi and Togekiss, who use Iron Head and Air Slash respectively to flinch the opponent 60% of the time. Combined with Thunder Wave, the infamous “ParaFlinch” strategy makes the opponent slower, while also preventing them from attacking the user the majority of the time. Defiant: Boosts attack by two stages for every stat drop. This can be used by Bisharp if the user can predict Defog. The evasiveness drop allows Bisharp’s attack to raise sharply, thereby doubling the damage of its physical moves. A Pokemon is placed in a tier based on how effective it is competitively, as well as its usage statistics. There are many tier lists, but the preferred list is the one by Smogon University. Competitive battles are always of a specific tier, with everything above that tier being banned from the battle. Each tier has a different metagame, each of which being enjoyable in their respective way. Unfortunately, your beloved Articuno is Neverused. Uber: The tier above Overused, this tier consists of all Pokemon that are banned from the Overused tier. One important distinction to make is that this tier is not exclusively legendary Pokemon. Many believe that using a legendary Pokemon in battle is unfair. This is entirely false – a Pokemon being legendary has no meaning in itself – it is only when the legendary is an Uber that it is considered unfair to use it. In fact, many legendaries are not useful and belong in the lowest, weakest tier. Using a Blaziken in battle is infinitely more unfair than using an Articuno. Examples of Ubers include Lugia, Ho-Oh, Blaziken and Aegislash. There is only one Pokemon deemed too broken and unfair for the Uber tier: Mega Rayquaza. Underused (UU): Pokemon that are not seen too often in OU, but can fulfill a niche role on a specific team. Examples include Azelf, Arcanine and Suicune. Borderline 2 (BL2): Pokemon that are banned from the Rarelyused, such as Froslass. Rarelyused (RU): These Pokemon are ineffective in the higher tiers. Examples include Cresselia and Dugtrio. Neverused (NU): The lowest official tier. Please note that Pokemon in this tier are not necessarily bad, it simply means that there is a Pokemon that can complete the same objective more effectively. Espeon in generation IV is the perfect example of this. It was NU simply because of the fact that Alakazam, a UU Pokemon at the time, was a more effective special attacking psychic type. By combining the ideas introduced thus far, an effective moveset can be created. Here is an example. Analysis: A common set for Mega Charizard X, which combines its raw power and useful defences. Maximum attack EVs with an Adamant nature are used to increase damage output. The 112 EVs in speed allow it to outspeed Landorus-T, which would otherwise outspeed and OHKO Charizard. Dragon Dance is the bread and butter of this set, as it raises Charizard’s attack and speed. This increases its attack to unfathomable levels, allowing Charizard to OHKO or severely damage anything that does not resist its attacks. Roost is for longevity, allowing Charizard to survive weaker neutral attacks while continuing to set up Dragon Dances. Fire Punch and Dragon Claw round up the set, as they are powerful attacks that receive a Same-Type Attack Bonus (STAB). This concludes the second part of this Overview of Competitve Pokemon! The final part will include more advanced aspects of the metagame with the various scenarios.